A system of Academic Coaching was launched at FCC last year and has been re-launched this year with a few minor changes. The system ensures that each student in the school is allocated an academic coach, a member of teaching staff likely to be their form tutor in most cases, who will meet with them 4-5 times per year on a 1:1 basis and discuss their academic progress, complete target setting and issue tips and advice on how to maximise their potential. They will also talk through any pastoral issues that arise throughout the year as well as discuss any extra-curricular involvement, getting a fuller picture of the whole child. In schools where this system has been used before students and teachers have provided positive feedback and in a survey of FCC staff last year, this was replicated. 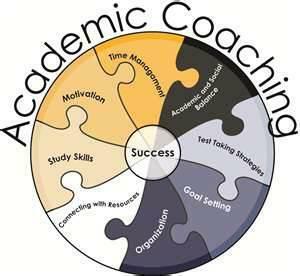 A reminder to all parents that Academic Coaching appointments are held between 3:00pm and 3:15pm, Monday to Thursday. Students will be involved in these sessions on average, once every 8 weeks. If students are not involved in coaching, students that make their own way home will be permitted to leave the college site at 3:00pm and bus students will be supervised until buses depart at 3:25pm. Records of coaching conversations will be kept by the member of teaching staff and students will record a note in their planner for parents to see, stating when the session was carried out as well as a brief summary of what was discussed. If any targets are set, these can also be recorded. A minor change to the system this year is a sanction that has been put in place if numerous appointments are missed by students. Missing appointments wastes staff time and ultimately reduces the number of appointments that other students can have, as a result of rearranged appointments being fit into the tutor groups schedule. Therefore, every student will have a second chance to turn up to an appointment, but if a second or any subsequent appointment is missed, a Friday lunchtime detention will be issued. Parents will be informed of this via letter. If the Friday detention is not attended, students will be placed in the afterschool payback system. I hope that parents will support this system by encouraging their children to attend the sessions when arranged. It is widely accepted that this system when used effectively and regularly, can maximise the potential of a student. We at FCC, hope that this system will not only have an impact on monitoring academic progress and subsequently improve performance, but also provide every student with a member of staff who knows them well and is able to form a positive working relationship with them over the year, and beyond. If you have any questions or queries, please do not hesitate to contact the relevant Academic Coach or me at the college.